Beach umbrellas are great, but they can be too large to carry and often you only want to shade sun from your face so you can read or check out the view in peace. 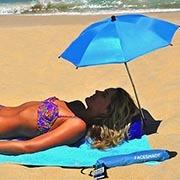 Faceshade's are a uniquely small beach umbrella that give you a portable sunshade for your face at the beach. 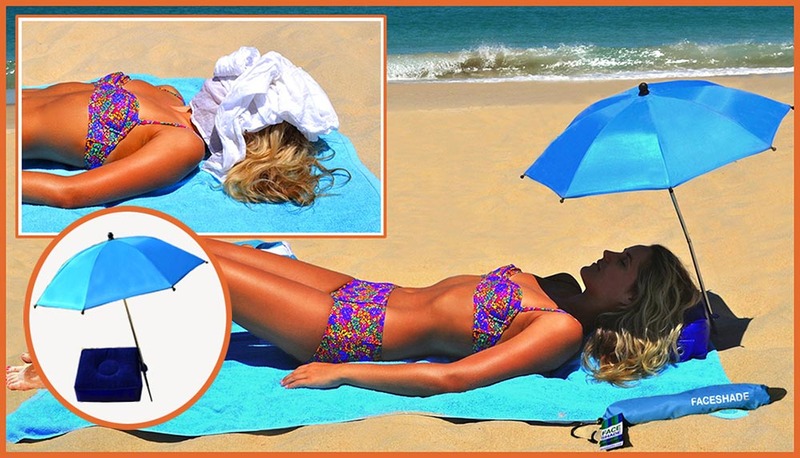 No need to drape that T-shirt or hat over your face, carry a huge beach umbrella or put up the shade tent when you get to the beach. All you should be doing is lying on the sand, relaxing and watching the water and the world go by. 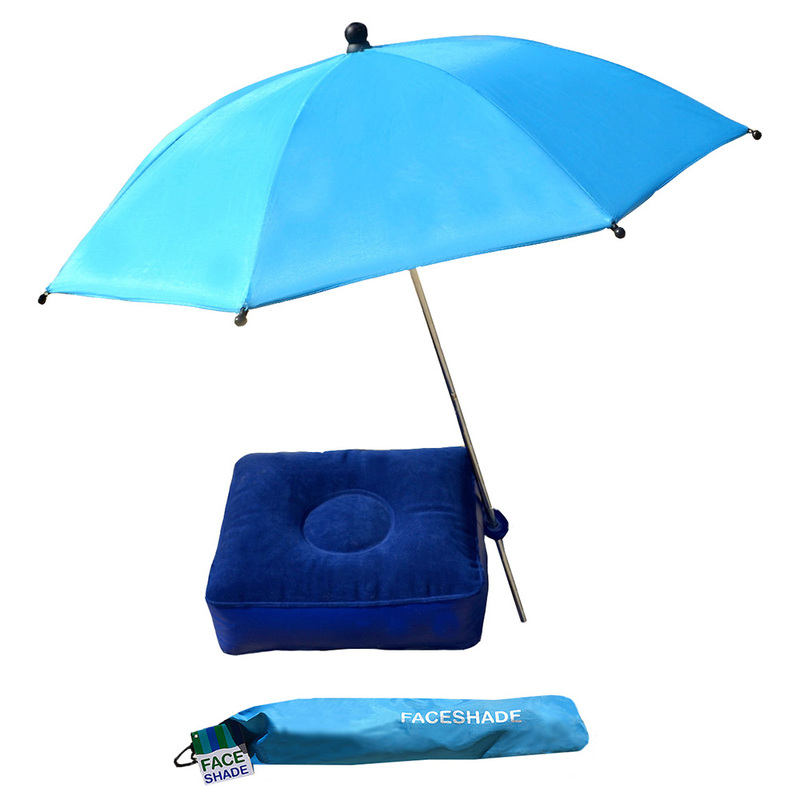 Faceshades are much smaller than other beach umbrellas and come with an inflatable pillow for added comfort. When ready to go it’s simple to pack up. 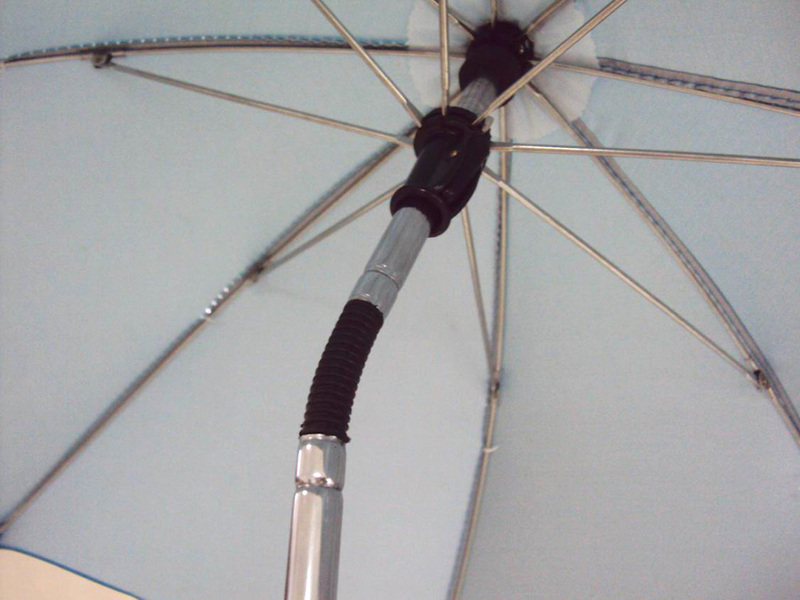 Just take the umbrella pole apart and wrap the deflated pillow around it. Then pop it into your beach bag and go. It’s that easy. 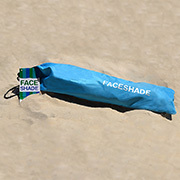 On the beach with Faceshade's are lightweight and conveniently small, making them a must have beach accessory for when all you want to do is go to the beach, check out what’s going on around you and feel the breeze on your face. *This rating is for the fabric only. 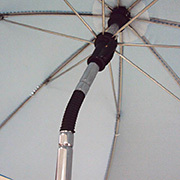 The umbrella must be correctly used to ensure maximum protection. Please follow all instructions carefully.